Prof. Harold Bolitho’s essay Travelers’ Tales: Three Eighteenth-Century Travel Journals introduces the travel journal as a significant cultural artifact which, by its qualitative appeal and ubiquitous presence among the masses, was fundamental in laying the foundation for Japanese modernity. Modernity, a historically-loaded, complicated notion, took roots during the Tokugawa period, roughly between 1600 and 1868, when political power and cultural prestige started to concentrate around large urban centers which today are the famous, sprawling metropoles on every tourist’s ‘must-visit’ list. Prof. Bolitho’s cultured travelers by contrast sought to visit inaccessible, uninviting, far-off locations. They left behind a rich treasury of written records about difficult journeys, remote destinations and unexpected (and oftentimes whimsical and fanciful) encounters. These records were and still are of an exceptional literary quality, foreshadowing an unparalleled development on the Japanese literary stage, even surpassing the West at the time in both output and consumption. On going to get a pass from the local official, he noted that “On it was written who you were, where you came from, what kind of clothes you were wearing, whether or not you carried a short sword, what your destination was, and the fact that you had been checked at this barrier. Then you paid a sum of money as a fee…whereupon the official took you to the check-point, you handed in your pass at the barrier and you were then allowed through. All check-points are the same. 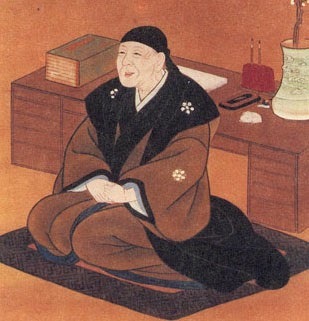 Although of different ages, Koshōken, Nankei and Sugae share qualities and skills that overlap; more often than not, they have distinctive personalities although it is noteworthy to mention that the main attribute which unifies them is the exhaustive interest they took in recording every absorbing detail from their journeys to the various corners of Japan. They differed in motivation (it seems that Nankei was particularly interested in making a fortune from his writings, while Koshōken had a rigid Neo-Confucianist view in regard to money-handling) but this did not hamper their style or their enthusiasm to bring their experiences to audiences who couldn’t risk or afford to journey outside their village or city. Their written chronicles (Koshōken’s Saiyū zakki, Nankei’s Saiyūki and Tōyūki, and Sugae’s Yūranki) are still accessible today and they are popular among scholars of Japanese history as well as casual readers. Moreover, all three of them travelled (although not at the same time and it’s presumed that they never met) to the Tōhoku region, in the north-eastern part of Japan. Their descriptions of Tōhoku form the central point of Prof. Bolitho’s essay. Having lived in Sendai for a long period of time, these descriptions are of a personal interest to me, reason for which I am bringing this article to your attention. Bolitho, Harold. “Travelers’ Tales: Three Eighteenth-Century Travel Journals.” Harvard Journal of Asiatic Studies (1990): 485-504. Pictures were borrowed from here, here and here.